Almost any DJ can play your favorite songs. Many DJ's provide a light show, and the best can engage those at your event through spirited antics. 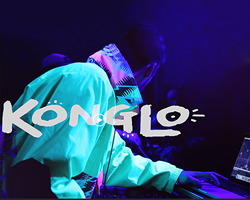 Rockin' DJ KONGLO, also a vocal Beat Boxer and Electronic Music Composer, does all this . . . and much more! 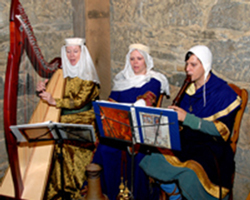 Available for your Medieval or Renaissance-themed wedding, fair, festival, party or reception, The Merry Minstrels perform Medieval, Renaissance and Celtic traditional music in period costumes on reproduction instruments of the period. 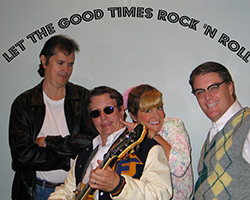 Tribute to the timeless music of the 50's and 60's by talented musicians who lived through the Good Times. Celebrate the 100 year anniversary of Ol’ Blue Eyes’ birth at your theater with a tribute by the finest Frank Sinatra impersonator in the world. Hailed by critics because his voice, likeness, mannerisms and gracious style are reminiscent of the great Frank Sinatra, Gary has become the most requested Frank Sinatra impersonator of all time around the globe! 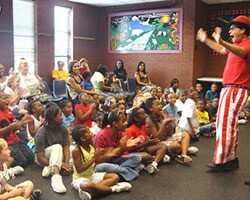 InterACTive Theater is designed specifically for celebrations, festivals, street fairs and first nights. During these events, Jef weaves through the crowd sharing his wacky brand of roving artistry which includes mime, juggling, mask work and variety arts. His roving work translates wonderfully to short (30 minute) stage sets which require minimal set up and fit perfectly into a festival format. He routinely performs as an opening act or entr'acte either onstage as a curtain raiser, or in front of the stage while a changeover occurs on the stage itself. 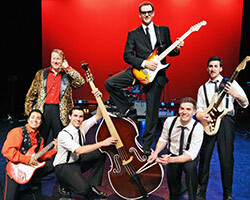 Formed in 2009 while performing together on Broadway in the hit musical, BUDDY: The Buddy Holly Story, The Rave-ons offer a wide range of 50’s rockabilly classics including songs by Elvis Presley, Eddie Cochran, Gene Vincent, Bill Haley & The Comets, Little Richard, Carl Perkins and others. Professional author, storyteller and multicultural folklorist, Donna Washington has been featured at hundreds of festivals and thousands of schools, libraries, theaters and other venues around the world, including Canada, Peru, Argentina and Hong Kong. 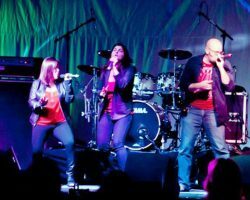 The musicianship, cohesive stage presence, on-stage energy and ability to engage audiences makes this Classic Rock/Pop band from Richmond, Virginia popular with audiences of all ages. 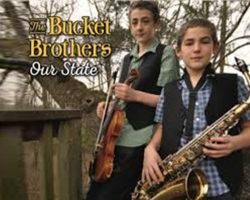 The Bucket Brothers, teenage musical sibling prodigies, have performed as a jazz duo since 2012, captivating audiences with their sophisticated arrangements, seamless improvisation, and beyond-their-years mastery of Jazz standards. 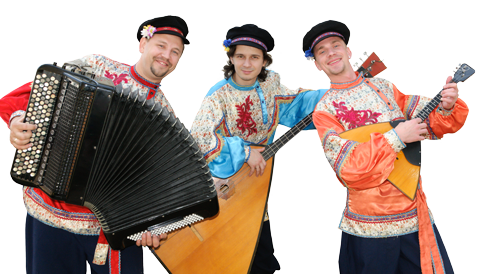 Award-winning Musical Ambassadors from Russia, Moscow Nights is an exciting, versatile trio of world-recognized, prize-winning musicians who have established themselves as one of the fastest rising folk groups in the U.S. 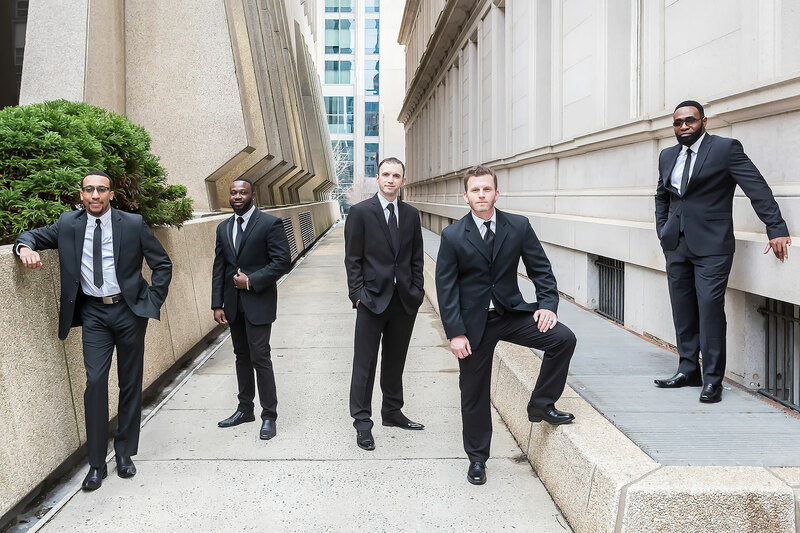 Consisting of trumpet, trombone, clarinet, tuba, banjo and percussion, RAZZaMaJAZZ has been entertaining North Carolina audiences for more than 20 years. 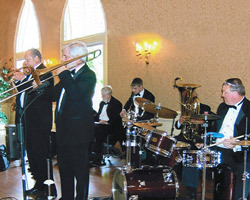 They play a variety of musical styles, including Jazz, Dixieland and Swing. 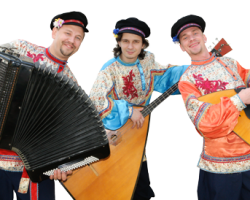 By interchanging instruments, this band can transform itself on stage from a Beach Band into a Bluegrass or Country music band. 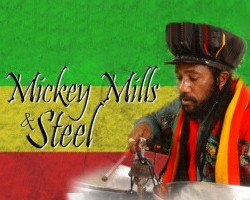 A vocalist, songwriter, steel drum soloist and actor, Mickey is an exciting, energetic and multi-talented entertainer who has been called "the fasted steel drum soloist on earth"
PushPlay performs within a 500 mile radius of Raleigh, NC. They specialize in corporate, private and wedding events! Direct from Las Vegas, John Anthony’s Tribute to Rod Stewart is exceptionally dynamic and energetic. John Anthony is one of the mainstays with the world famous Legends in Concert show. 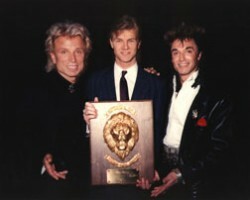 He has toured America, Canada and Japan performing in countless casinos, corporate events, and for numerous fund-raisers. 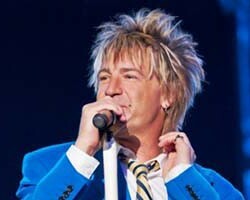 Acknowledged as one of the best impersonators in the business, John passionately covers the genius of Rod Stewart from the early Maggie May days to his current chart- topping revival, Still The Same...Great Rock Classics of Our Time. 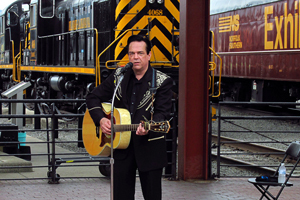 A powerful and passionate performer, Rich Wyman energizes his audiences through commanding performances as a keyboardist and vocalist. Rich’s performances have been described as a combination of Billy Joel, Elton John and Phil Collins. Eddie Van Halen and Andy Johns, engineer of Led Zeppelin and Rolling Stones fame, helped Rich produce his second album, Fatherless Child. The top professional impersonator of Robin Williams in the U.S., David is the impersonator of choice for movies, TV and advertisements. 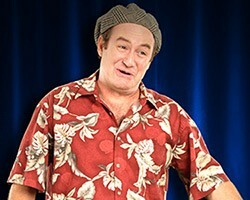 A clone of Robin in performance, sound, look and wit, he has performed at theaters, in movies, for conferences, at trade shows, and in television shows, including co-starring on NBC’s hit sitcom Community, ABC’s Next Best Thing, CBS’s Family Feud, NBC’s Access Hollywood, and NBC’s Last Comic Standing. He has appeared in the films, Just About Famous and The Reinactors. 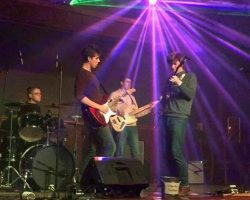 Using the latest in live sound technology, transit is able to harness vocals and transform them into a high impact show that some will scarcely believe is created with only 5 voices. 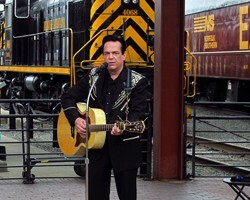 The Johnny Cash Experience is a Broadway-quality show that takes the audience through the late country legend’s career, covering Early Johnny Cash, Johnny Cash & June Carter, and the Folsom Prison Concert Era. 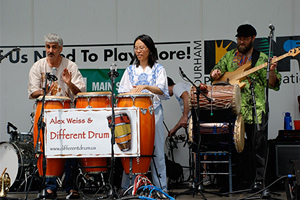 Different Drum is a versatile Afro/Latin ensemble that plays world music, specializing in South African Township, Andean Melodies, Brazilian Sambas, Salsa, Calypso and Cumbia. 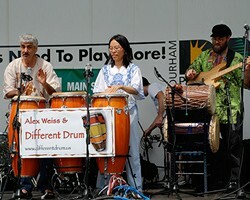 Having performed at numerous festivals and events throughout the Carolinas, Different Drum typically devotes equal time during their performances to Jazz, Eclectic Music and Original Songs. 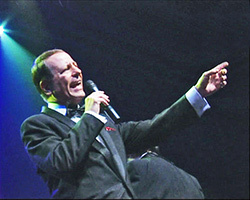 Through this Las Vegas production, experience extraordinary Gary Anthony (from Las Vegas) as Frank Sinatra, talented Andy DiMino (from Los Angeles) as Dean Martin and incomparable Louie Velez (from New York City) as Sammy Davis Jr.–all singing, dancing and entertaining with accurate impersonations and hilarious comedy. The show can be expanded to include a Marilyn Monroe impressionist from Los Angeles. 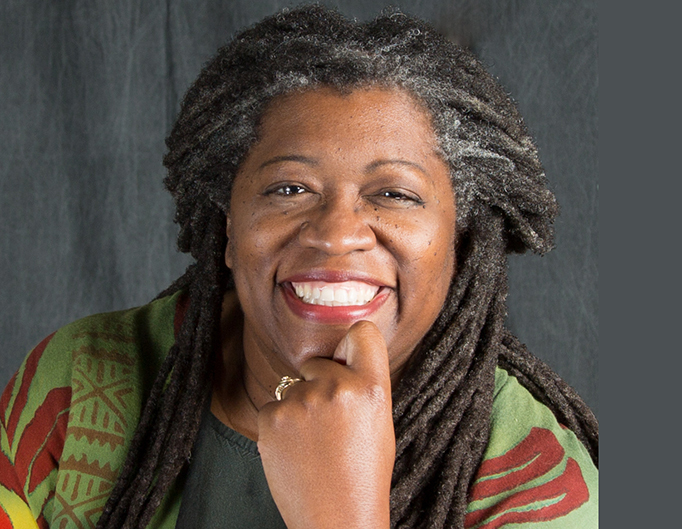 Flow Circus combines the skills and experiences of educator and writer Dawn Daria and nationally performing artist Paul Miller to create engaging and dynamic programs. At the core of all of our programs is the belief that learning is and always should be fun. Playfulness and spectacle ensure that students and staff will be talking about Flow Circus long after the visit. 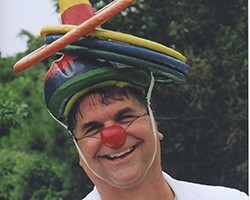 Performer Paul Miller of Flow Circus explores the world of science and skill toys where things fall, balance, and spin. He will leave students (and teachers) with an urge to pick up and play with the world around them to discover the mysterious forces of the invisible, physical world. 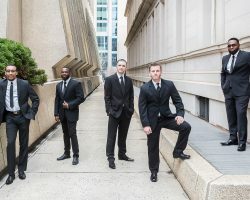 Composed of experienced performers and music educators from NC State University and Duke University, Children of the Horn is an instrumental ensemble that has created a unique sound by combining influences from Soul, Jazz, Rhythm and Blues and World music. 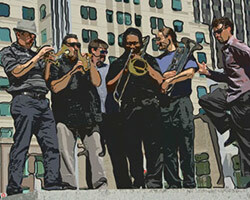 With a front-line of horns backed by a rhythm section, Children of the Horn takes students on a kaleidoscopic journey through original compositions that range from super-syncopated Funk and Latin to swaggering New Orleans Second Line to classic Motown-inspired grooves. Relive the Music, the Magic and the Mania of a live Beatles concert. Comprised of four talented musicians from Philadelphia who duplicate the music of The Beatles by matching their accents, vocal sound, instrumentation and mannerisms, Liverpool Beat enhances its show with vintage guitars, sound equipment and costumes. 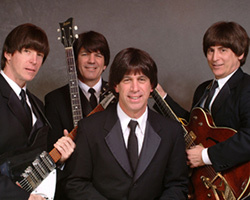 Having refined their act in the Broadway Show, Beatlemania, these entertainers banter during their performances with authentic Liverpool accents while imitating the antics of John, Paul, George and Ringo. Delta Reign, from the Mobile River Delta region of the Gulf Coast, is bringing a fresh new sound to Bluegrass by incorporating Swing rhythms, Blues and a dash of Jazz. Calm Before The Storm is Delta Reign’s debut album on the Mountain Fever Records label. 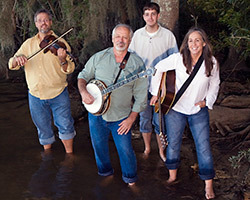 With a new album, favorable reviews in Bluegrass Unlimited and Bluegrass Music Profiles magazines, other press and publications, and radio airplay, the band is poised to make its mark on the Bluegrass genre. James Cielen has been awarded the highest honors in the field of magic both by fellow magicians and by sophisticated audiences in Las Vegas. 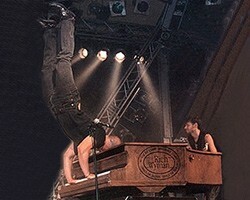 He has performed around the world and been seen on television shows in the US, Canada, Japan, and in over 80 other countries. Just as there are no better judges of magic than magicians themselves, there is no more prestigious a measure of a magician’s ability than the recognition of his peers. As the winner of the distinguished Gold Medal Award of Excellence, James Cielen has achieved a level of excellence in the performance of magic so outstanding that he is only the third magician in history judged worthy of this honor. 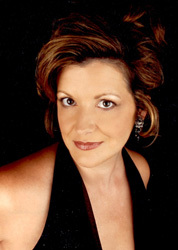 All website content protected by federal copyright law; all rights are reserved.